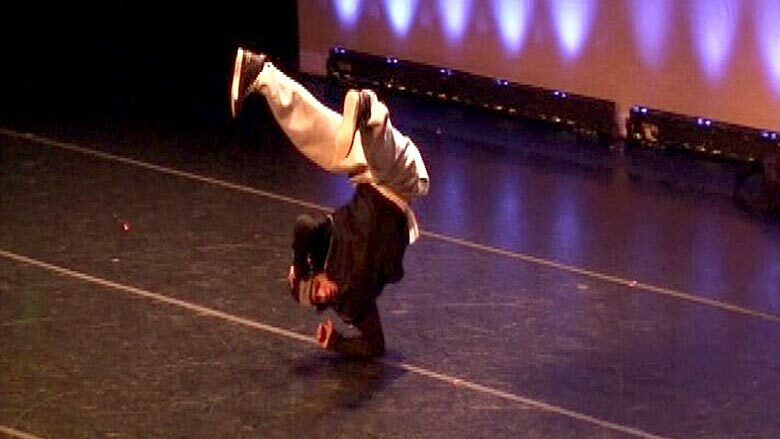 Gev Manoukian is one of those amazing hip hop and break dancers you have to see to believe. Gev got his first big break when he became a top ten finalist on the TV hit show So You Think You Can Dance, performing his inventive and original dance routines. This appearance brought him national attention, leading to a role in High School Musical 2 and the MTV musical American Mall. In 2010 he was a featured dancer at the American Music Awards where he performed with Pink to her megahit Raise Your Glass. When you want more than just a run-of-the-mill hip hop and break dancer, but someone that adds imagination and life into dance routines, Gev is your guy. Gev comes from a family of talented performers, including his father, a professional ice show acrobatic skater, and his mother, a former pairs figure skater. He was born in Kazakhstan, but moved to Utah when he was 16 years old. Gev is an awe-inspiring performer who never had any formal training, but makes up for his lack of training with hard work and natural talent. In a television interview with host Chris Harrison, Chris told Gev “I just saw some of the moves you were doing, and I didn’t think they were legal in 49 states.” Gev Manoukian loves performing on stage and gives it everything he’s got each time he takes the floor. When you want high-energy entertainment that will leave audiences gasping for air, Gev should be number one on your list.